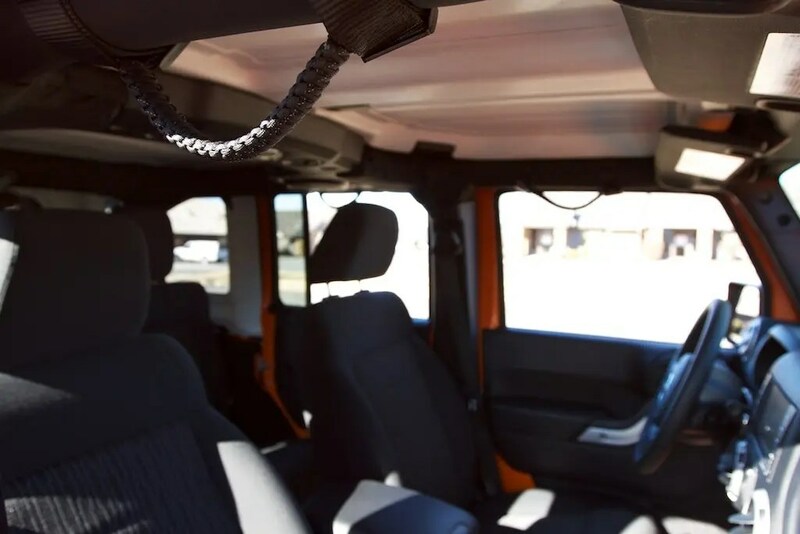 Surprise Straps are a cool product for Jeeps made from 550 paracord. Darryl Rhea is the owner and is a really nice guy. The craftsmanship is top notch. The aftermarket Jeep industry doesn’t see a lot of never before seen products. This is one of them. The straps use stock mounting locations on the roll bar and visors to provide a really secure feel. I ordered mine black with a black reflective tracer. It matches the interior of the 2011/2012’s really well. I highly recommend this product.